RUSSIAN state media reported in November the military had successfully test fired its new Barguzin RS-24 Yars intercontinental missile system, which will be housed on launcher trains. Details of five new mobile nuclear missile launcher trains were published by Russian broadcaster Russia Today in 2014. The trains will each carry six intercontinental ballistic missiles. More test are being planned in 2017, with the trains due to enter service between 2020 and 2025. The new missile is designed to carry multiple nuclear warheads and be transported and launched from the new train-mounted system, which has been named ‘Barguzin’ after the strong eastern wind that blows over Lake Baikal in Siberia, the world’s biggest freshwater lake. 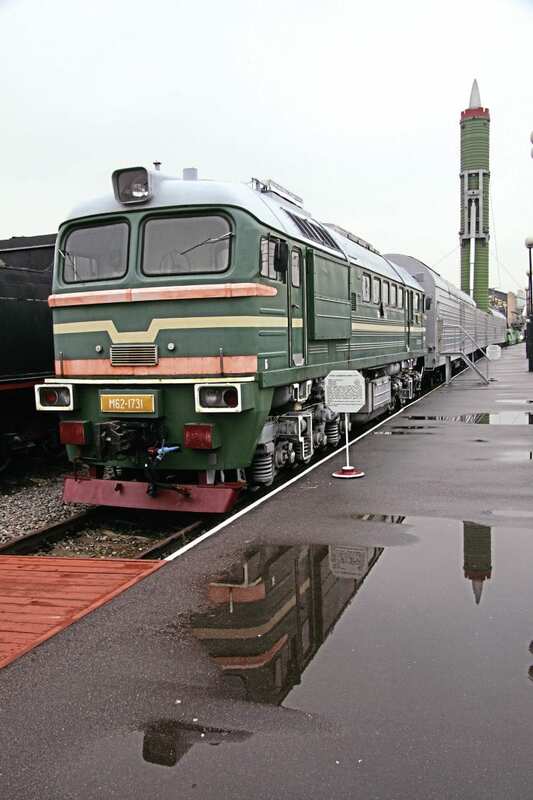 The new ‘nuclear train’ – reportedly known in Russian as BZhRK, short for ‘combat railway missile complex’ – is designed as a mobile platform for moving and launching strategic nuclear missiles. Just as nuclear submarines are hard to locate the trains are designed to be difficult to find, and are disguised as ordinary freight trains.